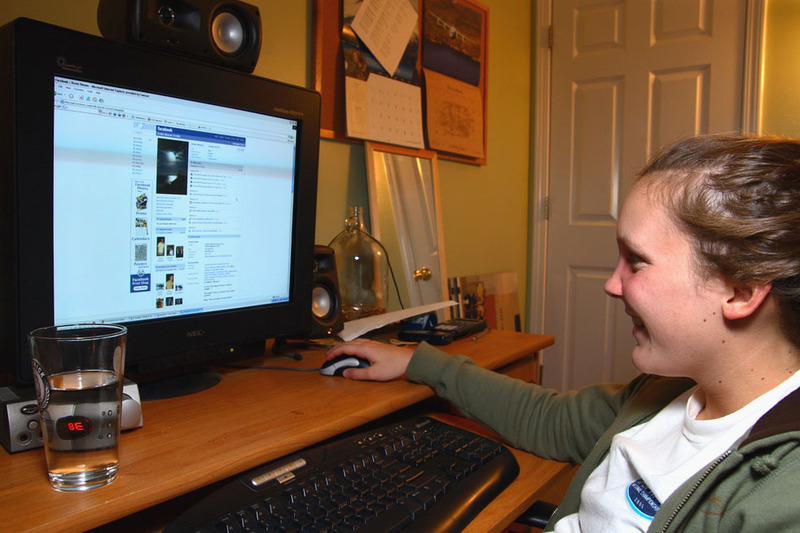 I distinctly remember being a pre-teen, looking longingly at my older brother’s computer screen as he browsed a strange website called “Facebook.” When asked why I could not have the privilege of owning an account, he adamantly insisted that the site was exclusively for college students. This was late 2004, almost a decade before the site would expand to encompass over 1.5 billion users and earn over five billion dollars in revenue. This was back when—astonishingly—Facebook indeed excluded non-college students by requiring a “.edu” email address during registration. Nowadays, middle schoolers, university students and grandparents alike can create accounts, connect to others, and post annoying status updates or comment on friends’ unexciting photographs. Don’t get me wrong—I love getting the extra, obligatory “like” from my lonely mother on each and every status update or uploaded picture. However, my grandfather doesn’t understand the use of the spacebar and writes on my wall with a happy, blatant disregard of commas, periods and the English language. My well-meaning-but-overbearing aunt comments on friends’ tagged pictures, inquiring how my doctor visit went. I was finally prompted me to think: Should Facebook be restricted to college students? Disregarding the fact that there could be ways around the “.edu” restriction, limiting Facebook to the 18+ population would surely change the social media world. Facebook would, in effect, become a rite of passage, a long-awaited prize, a not-so-trivial accolade. It could become more useful for connecting with other university-aged students in your area—goodbye to the creepy male population on Tinder—and advertising events specifically for the college population. Plus, there is a certain reassuring—almost comforting—quality in the fact that a website could exist wherein students could post any opinions, comments and Friday night pictures without the threat of being seen by parents, younger siblings or potential employers. For all its talk of privacy settings and content controls, Facebook’s universal member base reveals everything about your life to people of all age groups. A college-only substitute or modification for Facebook would fix this problem. With the growing popularity of using social media presence in evaluating job applicants, a new-and-improved, age-relevant platform could be particularly useful for up-and-coming graduates. On the other hand, it is understandable from a business standpoint why Facebook has indeed chosen to target a wider demographic. If age-restricted, the companies that would be interested in advertising on the site would be further limited. Thus, with far fewer users and outside partnerships available, the site’s overall revenue could surely go down. Plus, other problems could also potentially arise: What about those twenty-somethings who skip the stereotypical path to college or the older population? We all have that aunt that posts lovey-dovey comments on all of our profile pictures. It’s no secret that these mushy baby pictures and embarrassing statuses have nearly overtaken the Facebook world. Obviously, simply restricting the registration process to those with “.edu” email addresses would be inefficient, but some other way to create an age limit could significantly transform the purpose, enjoyment and future of social media. Some websites such as “JustCollege.com” or “CollegeOnly” have already attempted this novel feat, and obviously did not succeed. Instead, what is needed is a mastermind and original platform on the scale of the original Facebook to take the Internet and social media world by storm. Ultimately, I believe that this situation and underlying debate is comparable to the difference between a Walmart enterprise and, say, Vineyard Vines. Walmart is the mass producer to serve the general population and reach out to a wide variety of people. Meanwhile, Vineyard Vines is an expensive, trendy and notable brand that targets a specific portion of the population. It’s all a matter of choice at the end of the day. Sure, one population is a bit more exclusive, but isn’t that worth it? Perhaps I am biased since I have already surpassed the potential 18-and-under constraint, but I think that a new-and-improved site specifically for college students could be revolutionary in upsetting the Facebook monopoly.